2. Approval of the listing of the new ordinary shares on the Zimbabwe Stock Exchange. Upon fulfilment of these remaining Conditions Precedent, the company will advise shareholders thereof by advertisement in the press. 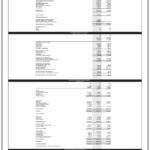 The Board of Directors would like to thank the shareholders for demonstrating their confidence in the future of Edgars Stores Limited. 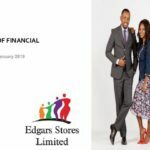 Edgars Stores Limited retails a range of high-quality casualwear clothing, footwear and accessories for children, ladies and gents in branded stores in Zimbabwe. The company operates three divisions: Edgars Chain,… READ MORE.